From floating in the Dead Sea more than 400 metres below sea level, to walking through the Siq for your first glimpse of the soaring facade of the Treasury at Petra, wandering the Via Dolorosa to the Church of the Holy Sepulchre, standing in front of the mighty pyramids of Giza, sailing the Nile and seeing the glittering treasures from the tomb of Tutankhamun - this exotic journey through the Middle East will also surprise you with some quirky twists in true World Journeys style. Petra by candlelight In a night time visit to Petra, walk the entire Siq to the soaring facade of the Treasury, lit with over 1,500 candles. 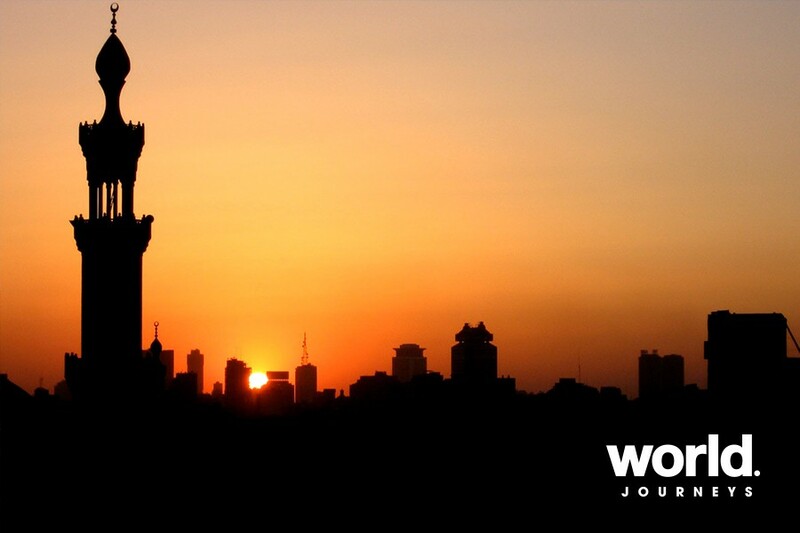 This glittering, spectacular experience is truly a magical way to see the Rose Red City. Street art tour Take a step on the wild side and head into the Florentin neighbourhood in the city of Tel Aviv. This lively area is the host for a fascinating tour of graffiti and street art - participate in one of the most thriving street art scenes in the world! 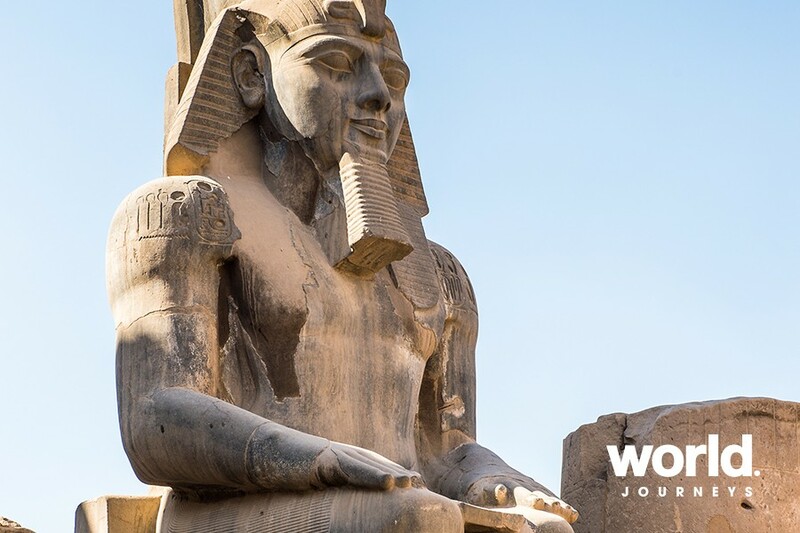 Stay in the iconic Old Winter Palace Overlooking Luxor temple, this winter retreat for the Egyptian royal family is the epitome of faded, luxurious glamour. Be sure to explore the extensive gardens, sip a cocktail as you watch life alongside the Nile, or take tea in one of the majestic reception rooms. Travelled on one of our Hosted Journeys before? We would like to offer you a saving of $400 per couple (or $200 per person) if you book this journey. This small group hosted journey is guaranteed to depart, regardless of numbers! Thu 17: Auckland > Dubai Overnight flight to Dubai. 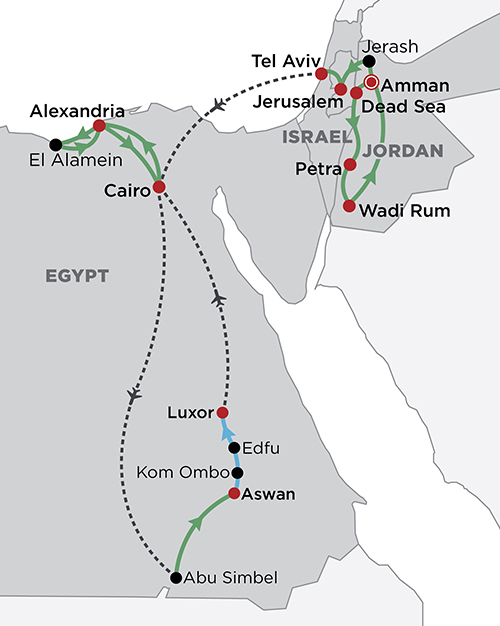 Fri 18: Dubai > Amman > Dead Sea (D) Transit to onward flight. On arrival transfer to our hotel on the shores of the Dead Sea. 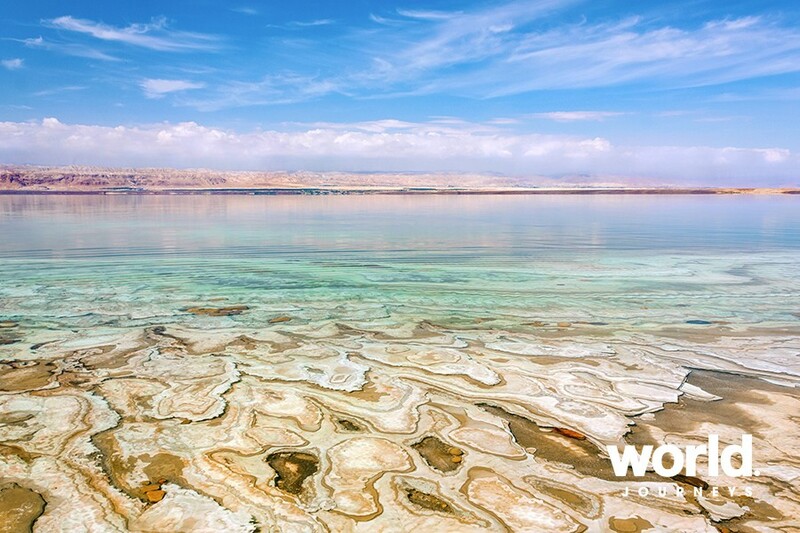 Sat 19: Dead Sea (B,D) A day to relax and enjoy the healing qualities of the water and mineral enriched mud. 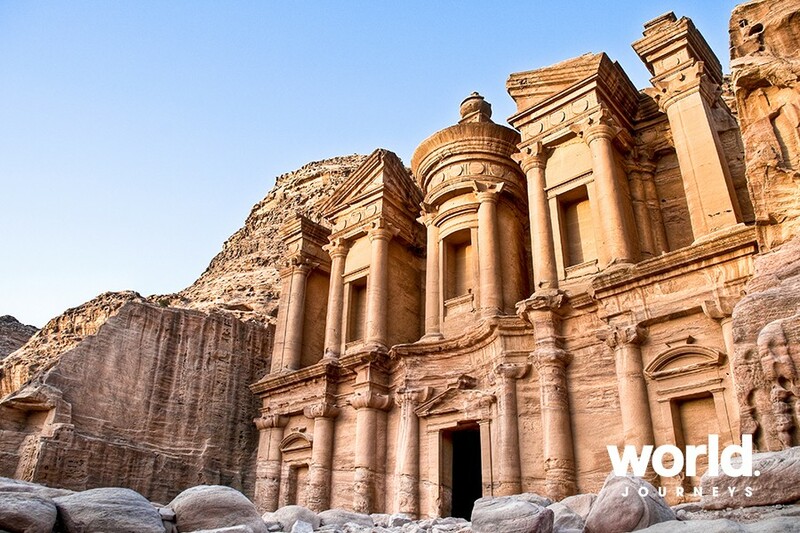 Sun 20: Dead Sea > Petra (B,D) Visit the famous 6th century Mosaic Map of Jerusalem and the Holy Land in Madaba, look across the Holy Land from Mt Nebo and visit the crusader castle of Kerak. Continue to Petra. 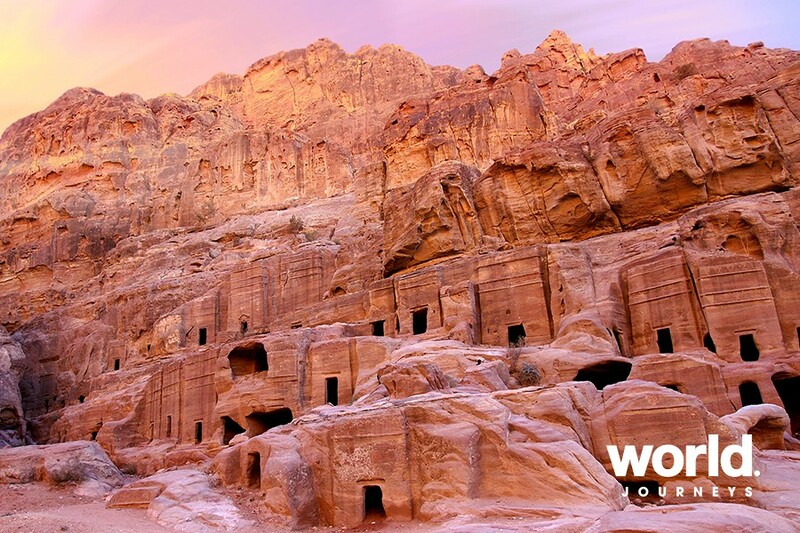 Mon 21: Petra (B,D) Travel on foot or by horseback to Petra - the ancient capital of the Nabateans who carved a wonderland of temples, tombs and elaborate buildings out of solid rock. 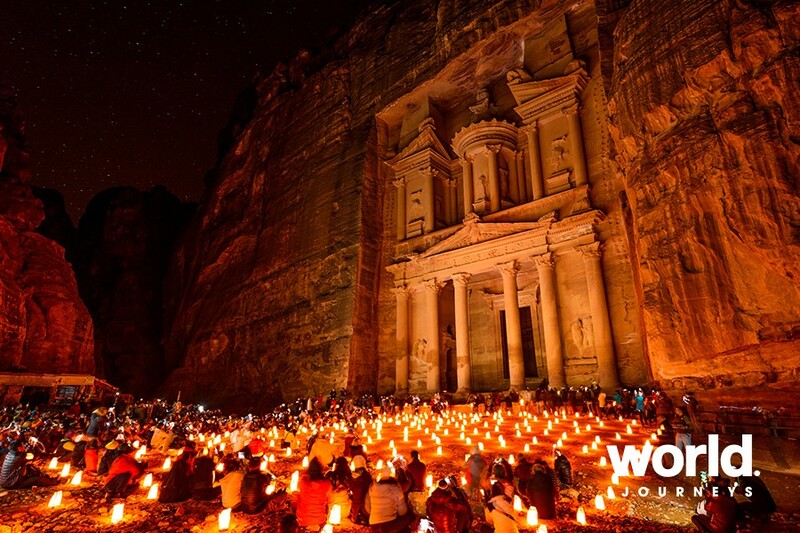 The afternoon is at leisure and return this evening to see Petra by candlelight. Tue 22: Petra > Wadi Rum (B,D) Visit Little Petra, or Beida, this morning before driving to Wadi Rum. 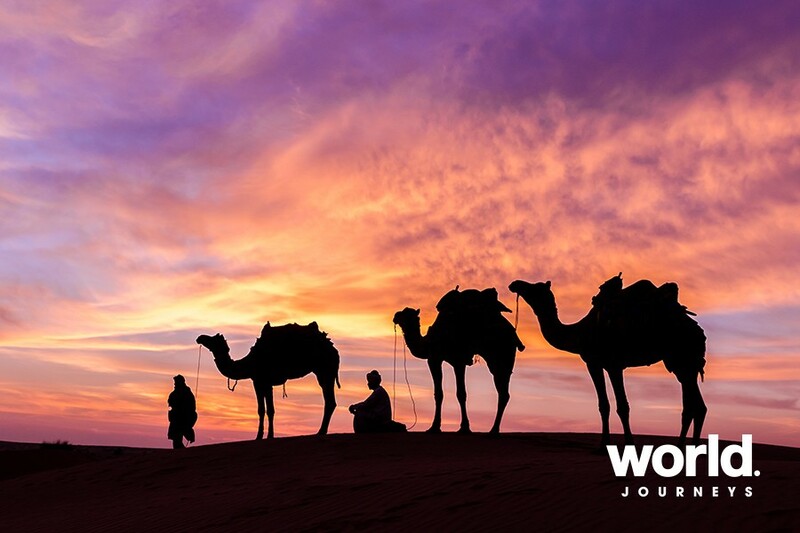 Transfer to Jeeps to travel through the eerie moonscape scenery to overnight in a tented camp this evening. 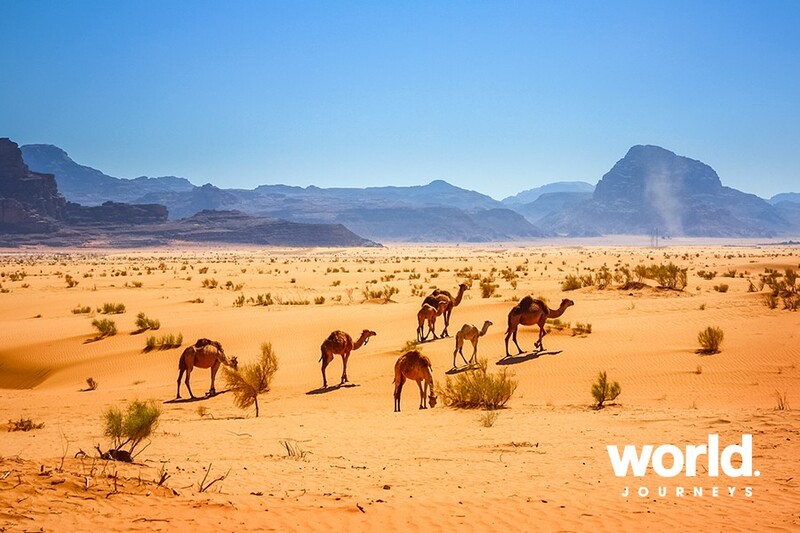 Wed 23: Wadi Rum > Amman (B,D) Drive to Amman and check in to our hotel. 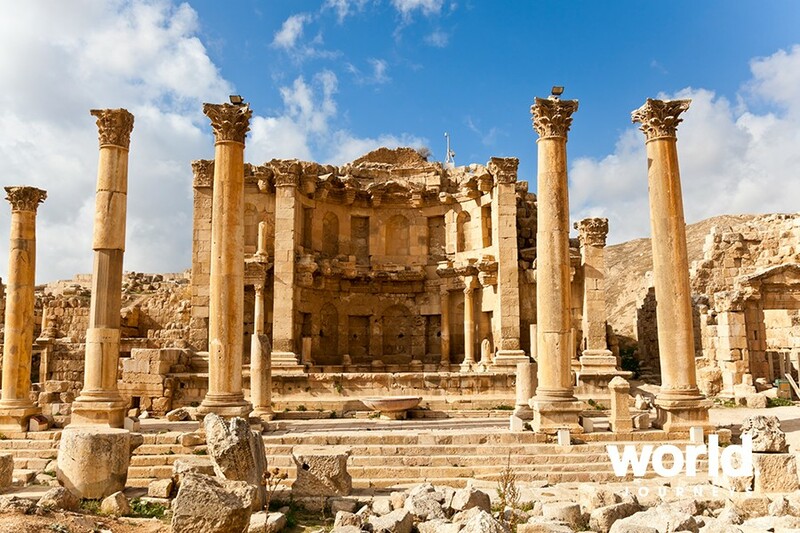 Thu 24: Amman > Jerash > Jerusalem (B) Visit the Roman city of Jerash before crossing into Israel and travelling to Jerusalem. This evening join the Tower of David light show. 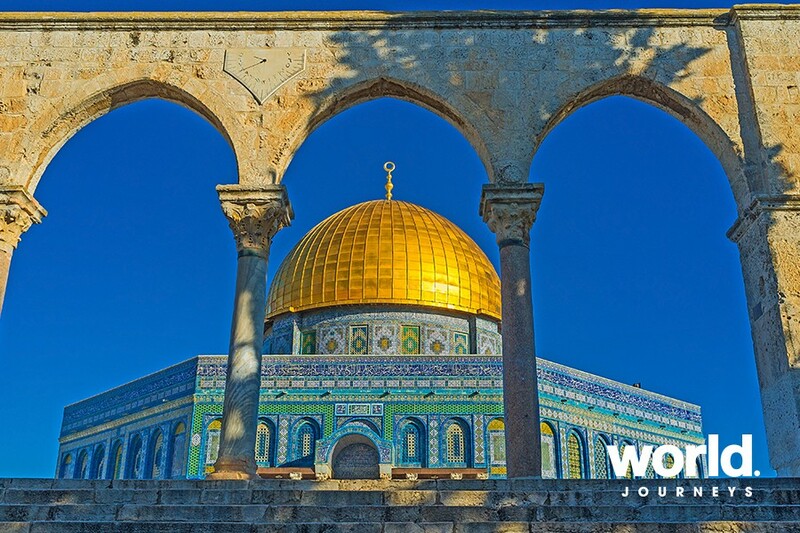 Fri 25: Jerusalem Old City (B) Enjoy the view from the Mount of Olives before exploring the Old City on foot. 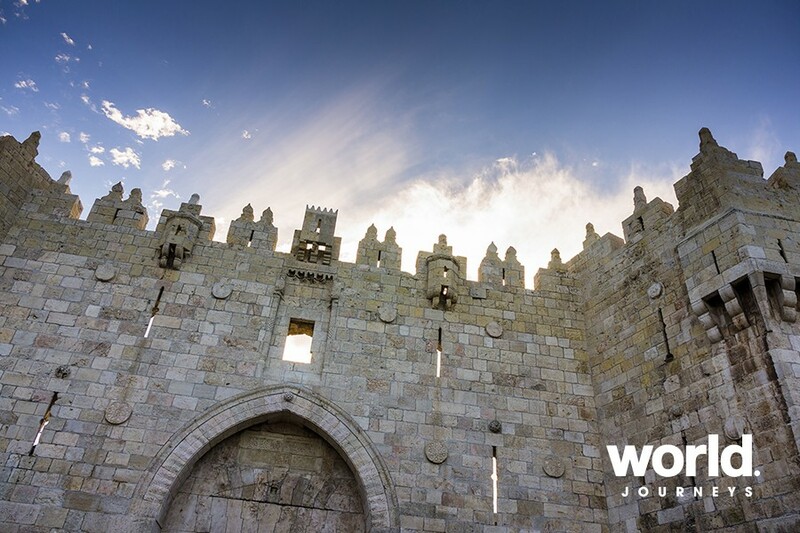 Explore the hidden Rabbinical Tunnels underneath the Temple Mount and walk via the Via Dolorosa to the Church of the Holy Sepulchre. Sat 26: Masada & Ein Gedi (B) Drive to the rock fortress of Masada. 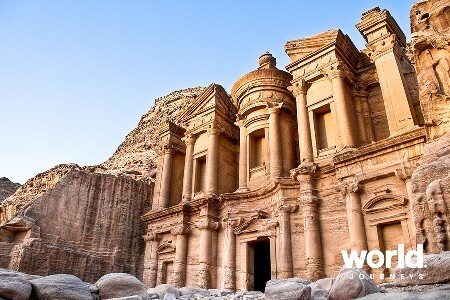 Visit Herod's palaces, dating back 2,000 years and hear about the zealots who defied the Roman Empire from this location. Join a Jeep tour at the Sodom and Gomorrah mountains. Continue for a nature walk at the desert oasis of Ein Gedi where we see wild animals roaming freely in the desert. 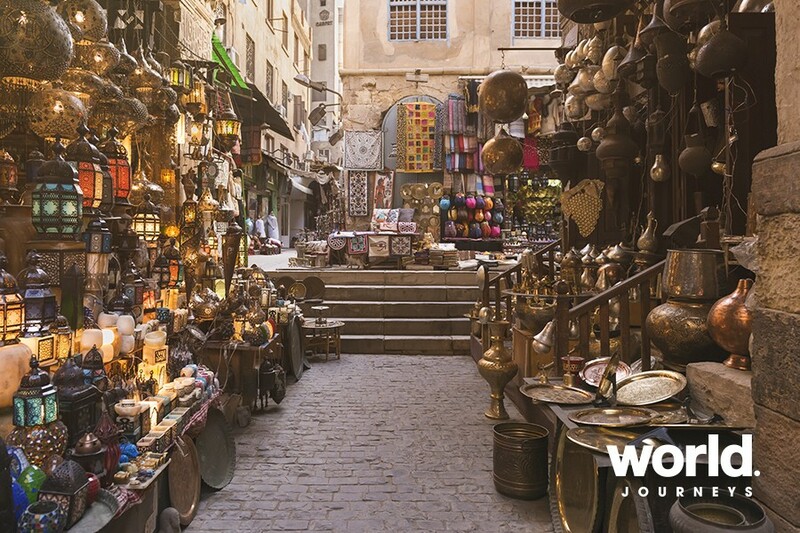 Sun 27: Jerusalem New City (B) See the famous Dead Seas Scrolls at the Shrine of the Book before a cooking workshop in the open air markets of Mahane Yehuda. Visit the Yad Vashem Holocaust Memorial including the underground cavern of the candlelit children's memorial. 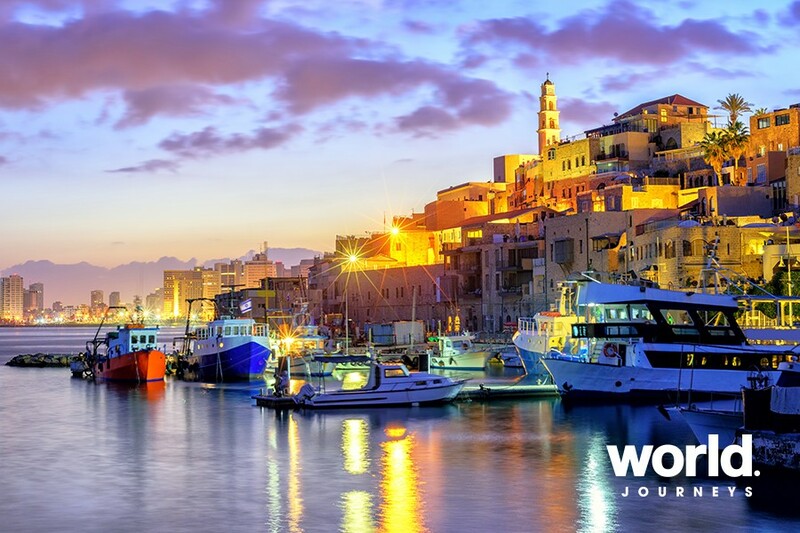 Mon 28: Jerusalem > Tel Aviv (B,D) Experience the fascinating street art scene of the Florentin neighbourhood of Tel Aviv before walking the ancient ruins and restored artist's quarter of Old Jaffa. Enjoy a festive and authentic dinner in a local restaurant this evening. Tue 29: Tel Aviv > Cairo (B) Fly to Cairo and check in to our downtown hotel adjacent to the Nile. 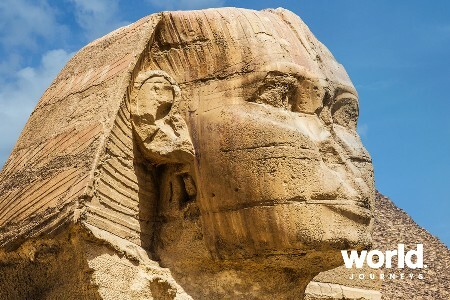 Wed 30: Cairo (B,L) A full day to explore the pyramids and sphinx at Giza followed by the ancient capital of Memphis and the step pyramid and tombs at Sakkara. 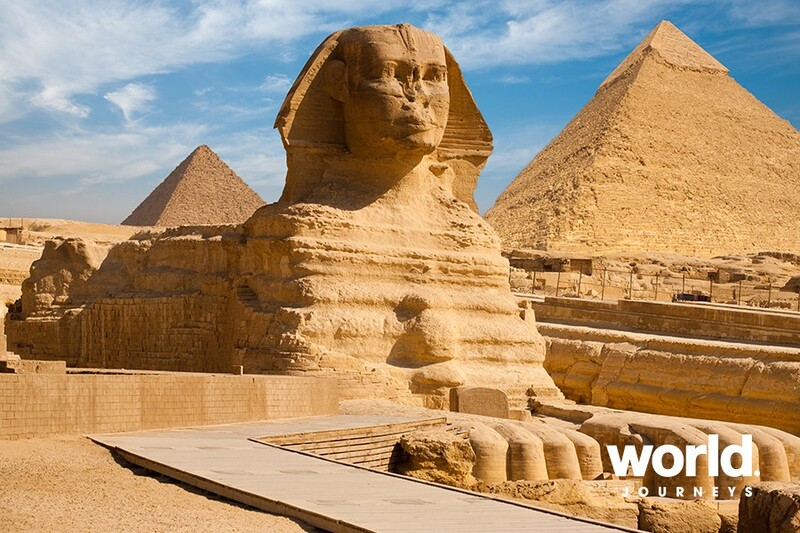 Thu 31: Cairo (B,L) Start with the Egyptian Museum including the treasures of Tutankhamun before visiting the Citadel and Old Cairo. Finish the day in chaotic Khan el Khalili bazaar. 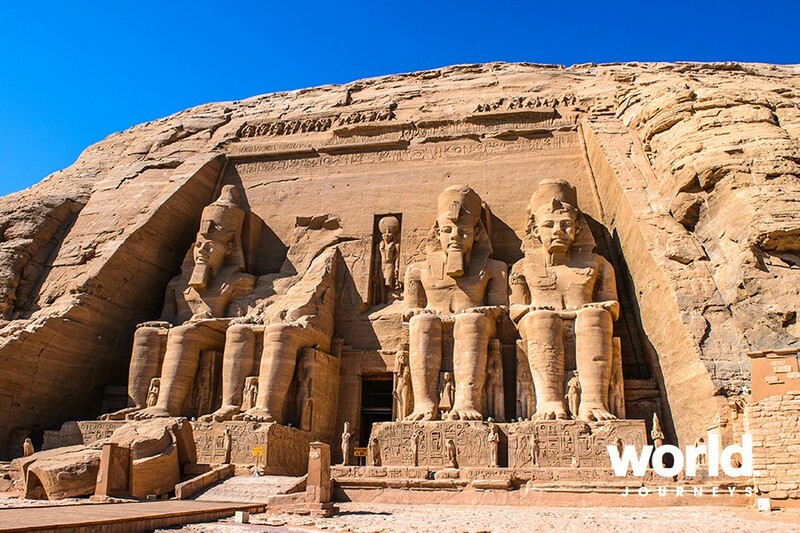 Fri 01: Cairo > Abu Simbel > Aswan (B,L,D) Fly to Abu Simbel to see the temples of Rameses II and his wife Nefertari, rescued by UNESCO from the rising waters of Lake Nasser. 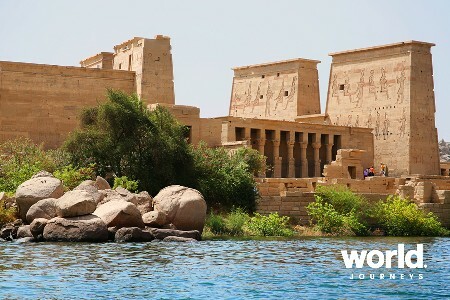 Continue to Aswan and check in to our luxurious all suite Nile cruiser. This afternoon visit the High Dam and Philae Temple. 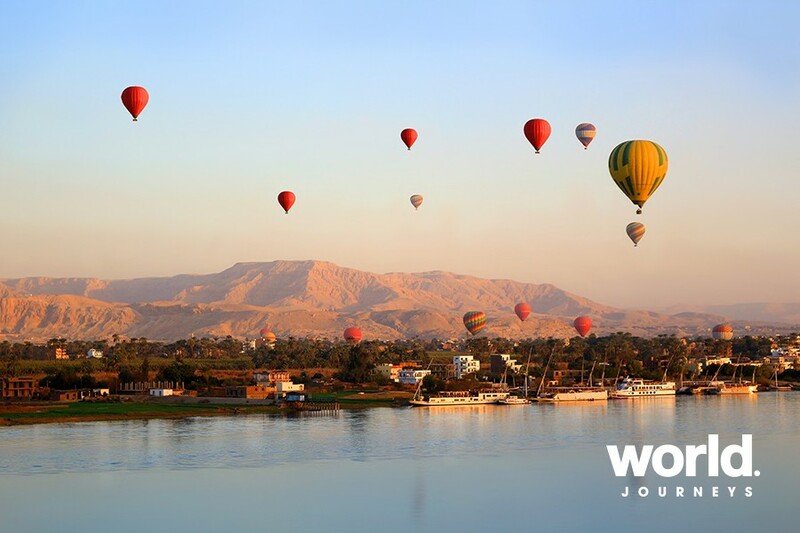 Sat 02: Kom Ombo > Edfu (B,L,D) Sail for Kom Ombo and visit the temple dedicated to both Horus and Sobek before continuing to the stunning temple of Edfu. Pass the lock at Esna tonight and sail on to Luxor. 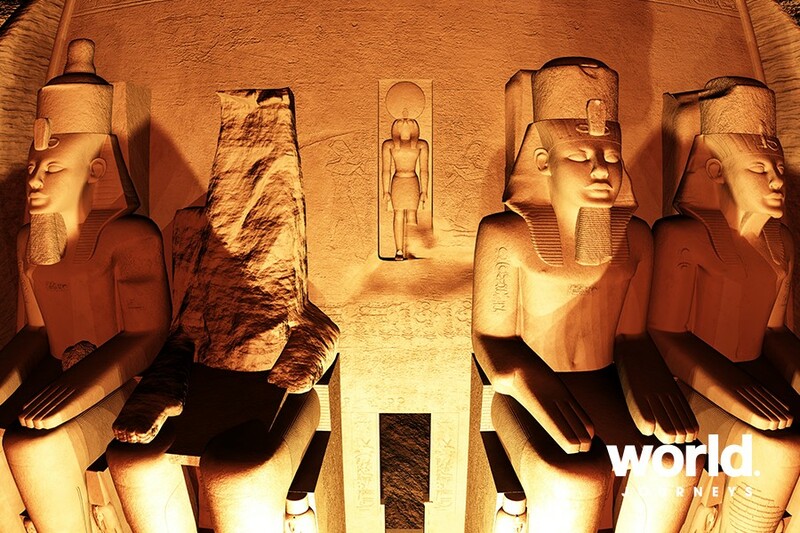 Sun 03: Luxor (B,L,D) Visit the Valley of the Kings, the Valley of the Queens and the funerary temple of Hatshepsut. Farewell party on board the ship this evening. 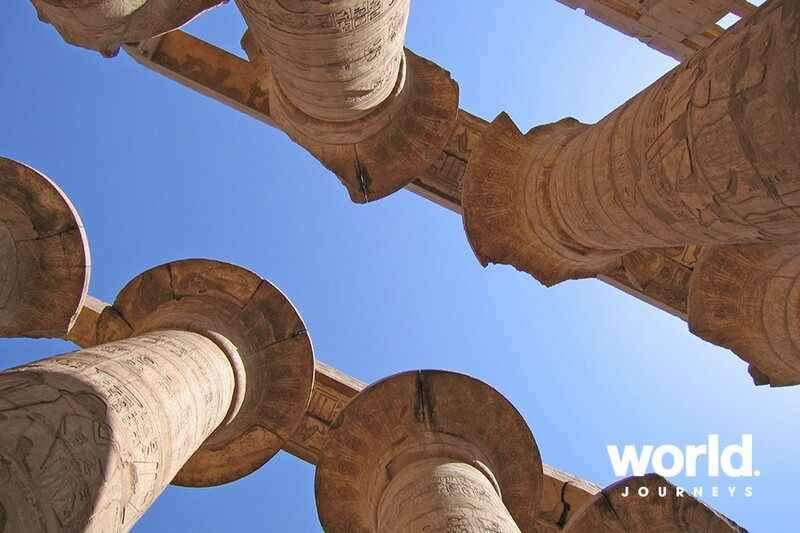 Mon 04: Luxor (B) Check out and visit the temples of Luxor and Karnak before checking in to King Farouk's former winter residence, the iconic Old Winter Palace Hotel. At leisure this afternoon to explore the market or rest in the hotel. 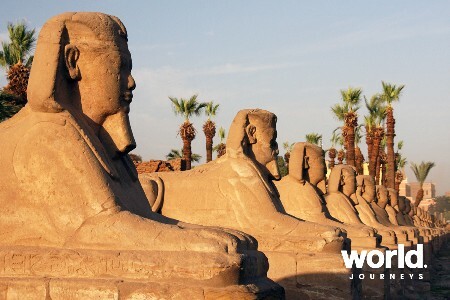 Tue 05: Luxor > Cairo > Alexandria (B) Visit Luxor Museum this morning before flying to Cairo. 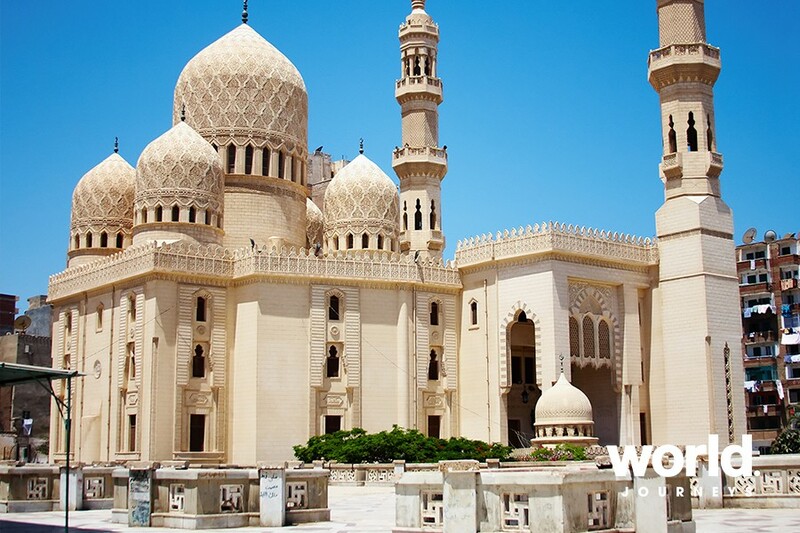 Travel by road to Alexandria and check in to our hotel. Wed 06: Alexandria (B,L) Visit the Roman amphitheatre, the Catacombs, Pompey's Pillar and the fortress of Quait Bey. Thu 07: El Alamein (B,D) Transfer to the Commonwealth cemetery and museum at El Alamein. Return to Alexandria for an afternoon at leisure. Fri 08: Alexandria > Cairo > Dubai (B) At leisure until an evening transfer to Cairo for the flight to Dubai. Sat 09: Dubai > Auckland Arrive Dubai and transit to our onward flight. Sun 10: Auckland Morning arrival in Auckland. • A non-refundable deposit of $1,500 per person is required, with the balance due 19 July 2019. 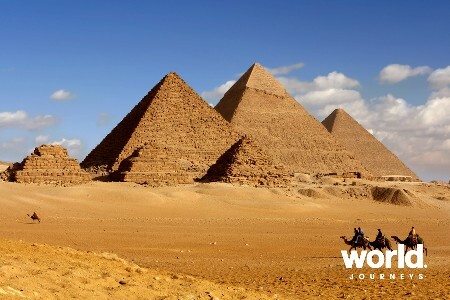 • As cancellation fees apply, travel insurance is mandatory. In the countries we are visiting, tipping is customary. 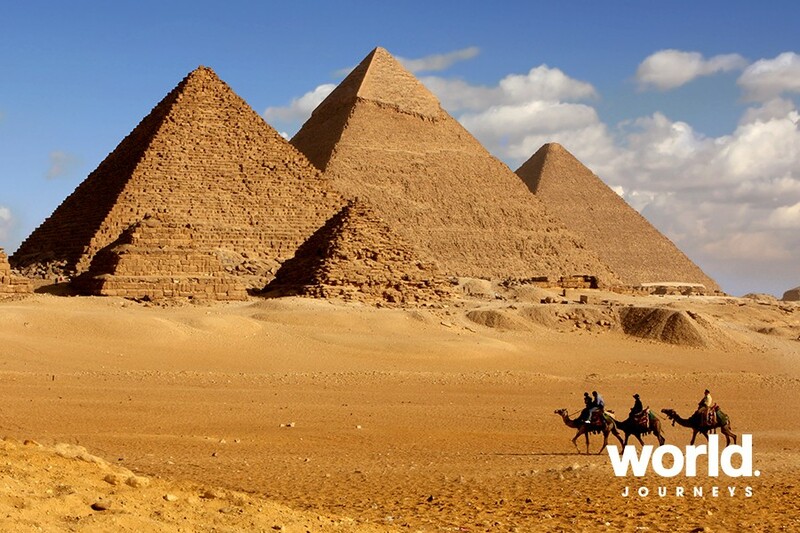 For a hassle-free journey, tipping is included and will be handled by the World Journeys host for all group activities.